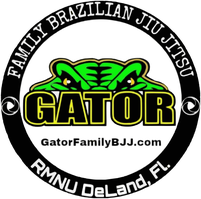 No Open Mat Friday 8/10/18 - Gator Family Brazilian Jiu-Jitsu, DeLand Fl. There are previously scheduled activities happening at the Academy this Friday. There will be no open mat. Training at 7 PM tonight 8/9/18.